"This agency is genuinely the best! I've employed nannies for 12 years and I have three children. Conducting a nanny hire search on my own is literally the most stressful endeavor I've ever done! I've found it to be upsetting, disappointing and overwhelming. When I engaged this Nanny search with ABC Nanny Source, I had the opposite experience. It was incredible! This agency certainly knows what they are doing and I felt like I had my own personal assistant working for me who had my best interest at heart the entire time! We hired our nanny within TWO days! I can't believe how efficient, proactive and dedicated this team was! They listened to all our requests, took extensive notes, asked alot of fact finding questions and found us the perfect person almost instantly! I can't thank you enough ABC Nanny Source! Your counselors are truly the matchmakers for all Families & Nannies!" Click Below to View some examples of D.C. Nannies in the ABC Network! Providing Nannies You Can Trust! Nanny Dress Code - ask about New Nanny attire! Dedicated DC Nannies - Commitment and Excellence! Some Nannies avaialble for instant employment! No obligation to hire unless the perfect nanny is provided! 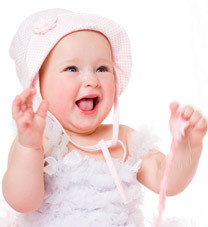 ABC Nanny Source presents only the most qualified Nannies to families in the Washington DC area. A diverse selection of professional Nannies is available immediately for your family to consider. Each Washington DC Nanny has been meticulously screened using our unique 10 Step Screening Process. We provide professional, high caliber, experienced candidates to families in the Washington DC area. ABC Nanny Source takes care of everything for you, from interviewing and screening each candidate to presenting the final offer of employment, and everything in between! We understand that our families are extremely busy and it is our desire to make the process an easy and simple one. ABC Nanny Source strives to continually impress our families with effective, permanent placements that you will rave about! Our biggest compliment is your recommendation to a friend. We are proud of the solid reputation ABC Nanny Source has with the families in the Washington DC area! This reputation is built on a strong foundation of distinction, exceeding the industry standards in all respects! Click here to view some of the wonderful nannies in Washington DC! Contact us TODAY and an ABC Nanny Source staff member will be happy to answer any questions you have and help you get started right away! ABC Nanny Source appreciates Donna’s ability to be a reliable and dependable Washington DC Nanny! ABC’s Washington DC Nanny Agency welcomes Natalie’s ability to work well with both children and parents! Nanny in Washington DC Paola has the ‘real-life experience’ of being a mother herself! ABC’s Nanny Agency in Washington DC represents career caregivers like Fran! Your Washington DC Nanny Job will enjoy Erin’s focus on family interaction! Feel free to call 202-244-5515 today to speak with a placement counselor in more detail so you can find your Washington DC Nanny right away!